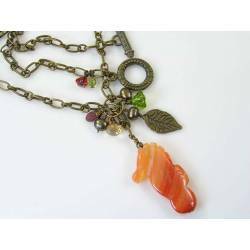 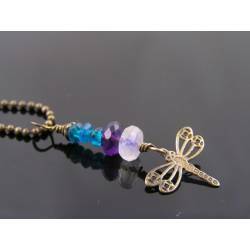 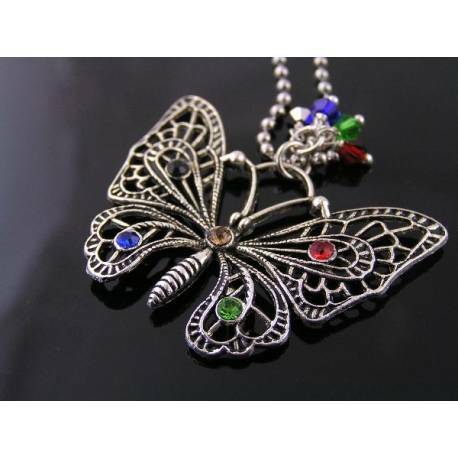 This filigree butterfly pendant is made to spakle by hand-set little colourful crystas. 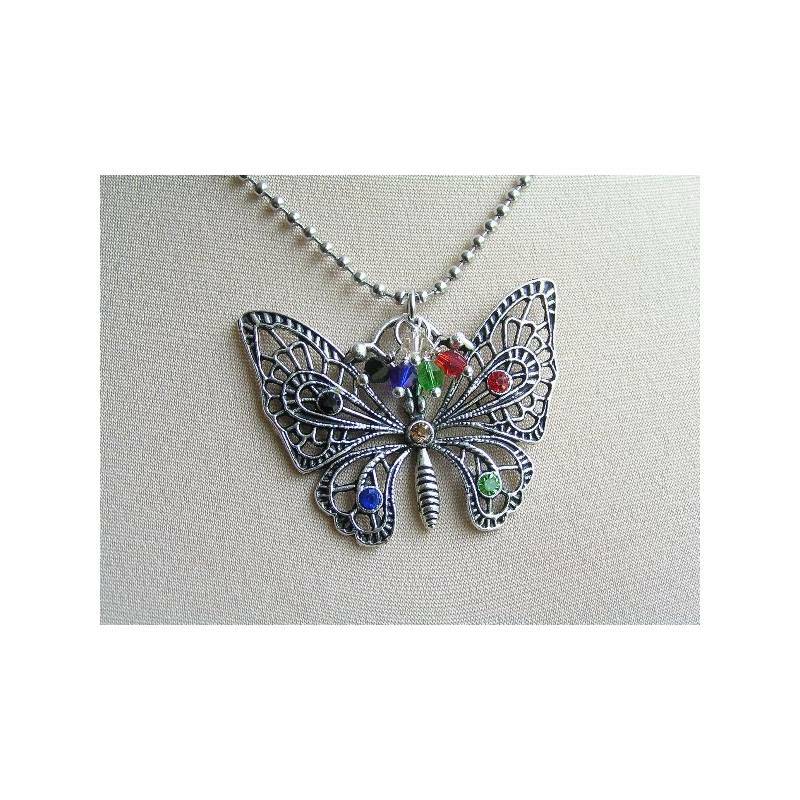 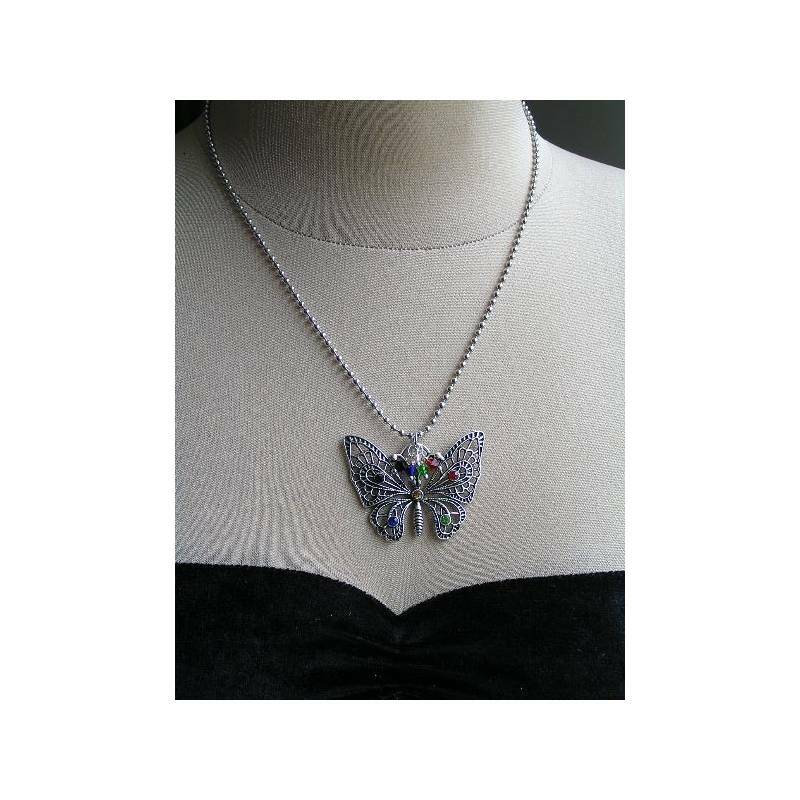 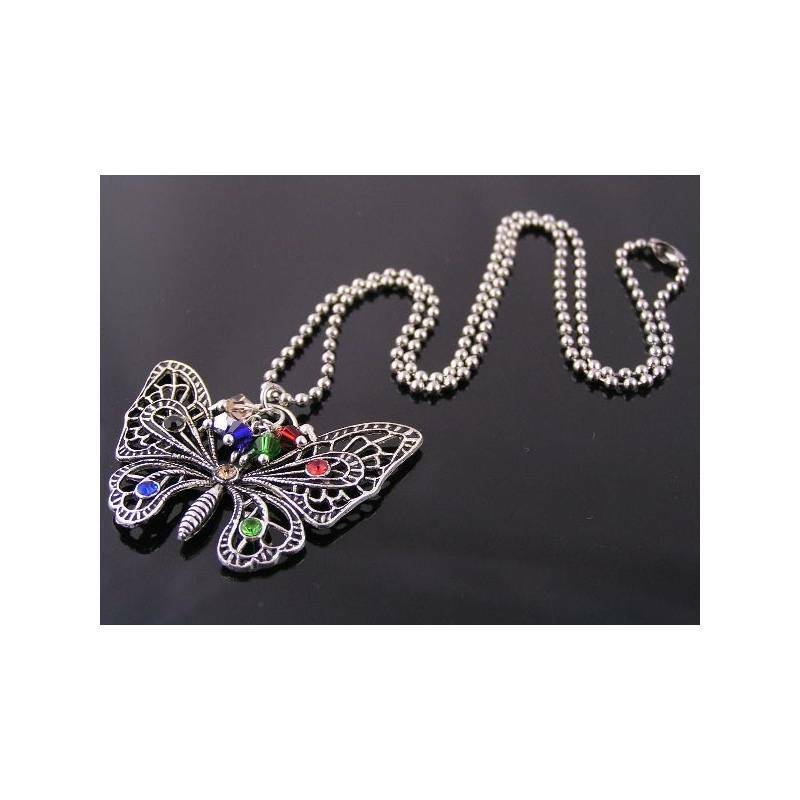 This antique silver filigree butterfly pendant is hand-set with colourful crystals. 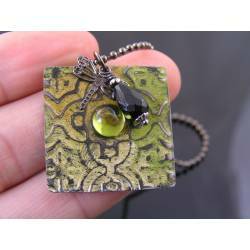 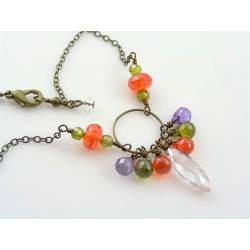 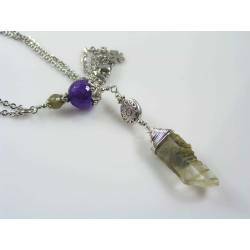 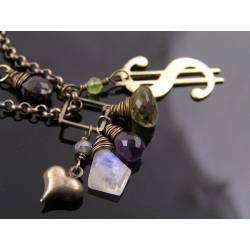 For additional sparkle, I added matching wire wrapped crystal beads to the bail of the pendant. 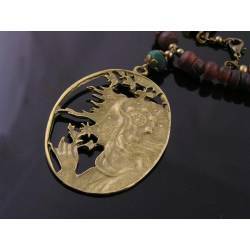 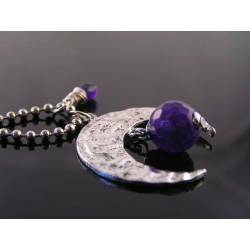 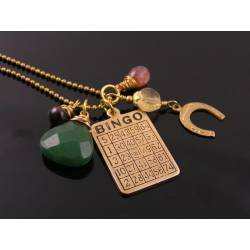 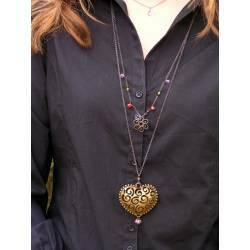 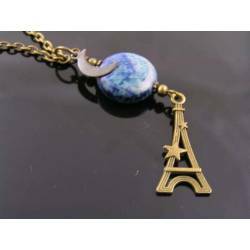 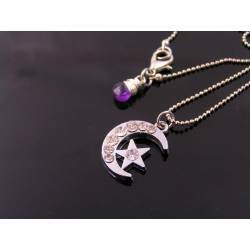 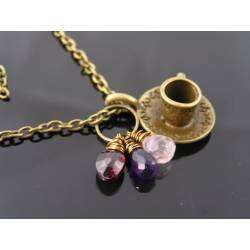 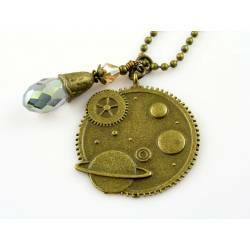 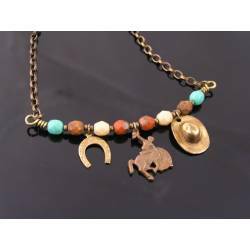 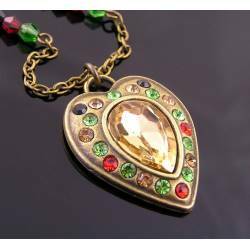 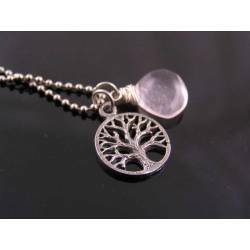 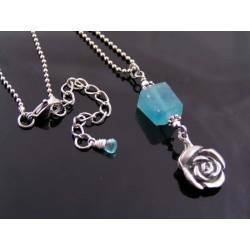 The pendant is then threaded onto a classic stainless steel ball chain which closes with a typical ball chain connector. 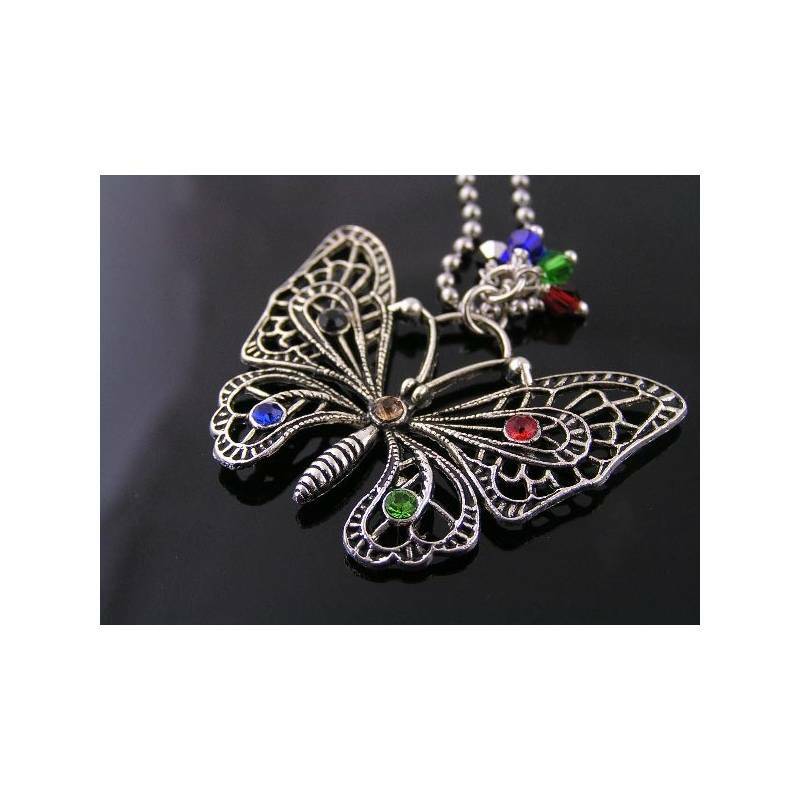 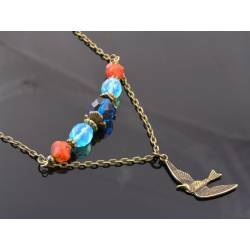 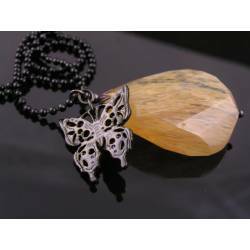 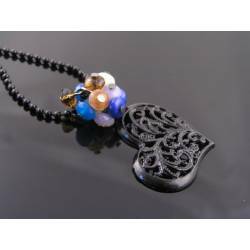 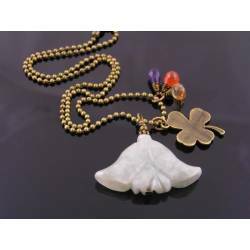 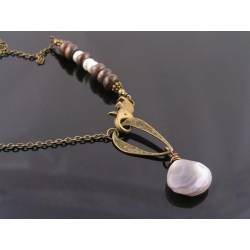 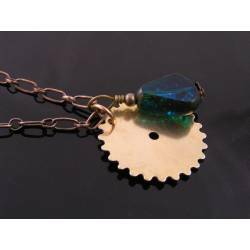 Total length of the necklace is 50cm, the butterfly measures 48mm wide (widest point) and 38mm high. 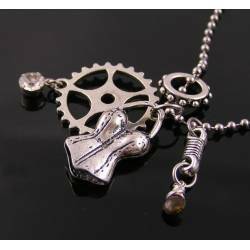 All metal is silver tone, the chain is durable stainless steel.